Are you in need of a bootstrap admin template for your site’s dashboard or your client’s website and don’t want to start from scratch? The process is very time consuming most of the time so you may not want to start from zero. Don’t waste time on designing it from scratch when you can use one of these HTML admin templates! These admin dashboard templates have modern designs, some even follow the latest flat design trends, and are premium coded! If you’re a web developer, then you must have created at least once some Bootstrap dashboard templates for your clients. To make things a lot easier for you and to save you some precious time, we searched the web for some ready-made HTML Bootstrap admin templates for you to use in your next projects. These are all professional HTML admin templates, with lots of cool features and premium designs. Enjoy! Neon might be just the template you’ve been working so hard to find. This is a flat admin template for multi-purpose usage built with the latest version of Bootstrap 3. This template contains more than 100 HTML files which offer you a great variety of layout options and resources to pick from. Minovate is a premium admin dashboard powered with AngularJS. It’s built on the popular Twitter Bootstrap v3 framework. Minovate is fully based on HTML5 + CSS3 standards. It’s fully responsive and clean on every device and every browser. Crest Admin has a friendly and modern interface design with some cool charts. This is a premium admin UI theme based on Bootstrap. It functions perfectly from any browser or device thanks to its adaptive layout. You can easily use a large range of plugins. This template is definitely worth checking out! AZAN is a clean and powerful ready to use responsive admin template, based on Bootstrap v3.1.1 and powered by jQuery, with 3 amazing Dashboard layouts. Azan is completely flexible and user-friendly. Flatron is a responsive HTML admin template and web app and might be just the one you have been looking for. It’s based on Bootstrap 3, has over 80 HTML/CSS pages and comes with plenty good features. Check them out! If you were looking for a lightweight responsive admin theme build with Bootstrap you might have just found it. Xenon contains various layouts, theme skins, and UI components. It gets its inspiration from the Neon theme you’ve seen earlier. Everything on this admin page is perfectly organized and it is perfect for your project. eKoders is a multi-layout framework based on Bootstrap and designed considering each and every requirement of websites, CMS, web applications, admin panels, clients panels etc. Notebook is yet another good example of an admin theme worth having a closer look at. It also has a modern and functional design and could definitely ease working in the backend of your site. Check it out! This example has a friendly interface that uses many SVG icons, a good choice in typography, all sorts of charts and plenty other graphic elements and features that make this template very useful. “Thin Admin” is the brand new totally responsive Administration Theme based on Bootstrap 3 Framework. 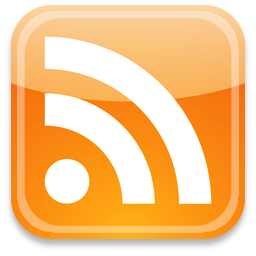 You do not have to worry about working in the backend from your laptop or tablet. Have a look at this template and see if this is the one you had in mind. 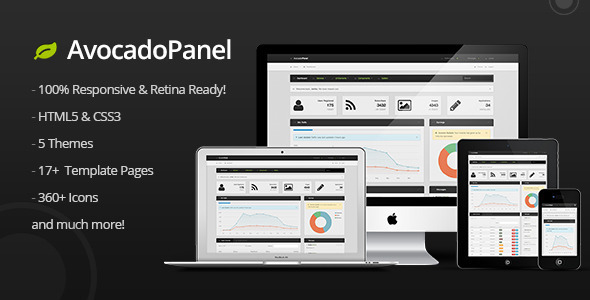 AvocadoPanel is a responsive admin template built with Twitter Bootstrap Framework. This template is was specially created for backends or web applications. AvocadoPanel comes with a huge collection of plugins and UI components and you can use it on any device thanks to its responsive layout. Eternity Admin theme might be exactly what you have been looking for. It has a nice minimalist and modern design and some really cool charts. The choice in typography is unusual but blends in perfectly with the design. The interface is light, responsive and ready for you to use it! This template comes along with custom layouts, error pages, and so many other features. Check it out! Sangoma is a modern flat Bootstrap template for any admin backend, user interface or administration. Thanks to its responsive design, this theme is perfect for both desktop and mobile users. It has a minimalist design which is really trendy nowadays. Saltkin is a responsive admin dashboard template based on Bootstrap 3 framework. It’s well organized, includes 7 color schemes and it’s made using SASS post processing language. This is a dark theme for an admin bootstrap dashboard page called Rocket. It definitely has an eye-catching and functional design which will make working in your website’s backend less boring. Megadin is yet another good example of an admin dashboard template that mixes all the right colours, eye-catching infographics and plenty useful features. It is definitely an example worth following. Have a look at this example and find out if this is the one you had in mind. Paper has a friendly design which will make your dashboard look great. It uses vibrant colours for its responsive design. Wintermin is a Bootstrap theme which will definitely make your admin page look nice! It is yet another good example of an admin theme with a modern design. If you liked the previous examples then will definitely like this one too, along with the ones yet to be seen. This is yet another admin theme with a modern and functional design. It is definitely an example worth considering when searching for an admin template. This is a premium responsive admin theme with some really cool features. You can easily work in your backend from any device. It already has some really nice charts and statistics but you can also design your own graphs. Scale is a fully responsive web app and admin dashboard template, based on Bootstrap 3 and it has 8 colour palettes for you to choose from. This template comes with some awesome graphs and charts. It is definitely an example worth following. This theme comes with 5 different colour variations, working tabs, accordion, lightbox and plenty other cool stuff. Check out this template and find out if this is the one have been searching for all this time. ProUI is a responsive and full featured Admin and Frontend Template built on a Bootstrap 3 framework. ProUI has a modern and flexible Admin and Frontend template that can be used to build all kind of projects. Great Admin has a neat and minimalist design. It will make your backend look modern. It is yet another good example of great admin theme. Maniac is a really cool admin theme that comes along with a material colour scheme. It has a responsive design which means you will be able to work from any device This example might be just the one you have been looking for. Odin is a great bootstrap dashboard template built with Bootstrap 3. It has 12 colour themes and interactive charts! It is also retina ready and fully responsive. Minimal is fully based on HTML5 + SASS standards. Is fully responsive and clean on every device. Minimal works on every modern browser, any device, and any screen size. “Square” is a fully responsive admin web App built with AngularJS. It uses Sass CSS which makes it easy to modify. This is an admin template with a flat and unique design. It was professionally designed with attention to details and options. It comes with great animations and smooth interactions. I really proud for you professional HTML admin templates because it’s brings to my success. Thanks a lot for sharing this valuable post.